Eligibility. The National Chocolate Milk Day Sweepstakes (the “Promotion”) is open only to persons eighteen (18) years of age or older as of the date of entry, or who have received permission from a parent or legal guardian, who are permanent legal residents of the State of Michigan and are physically located there. Employees, officers, and representatives of Sponsor’s advertising and promotion agencies, as well as the immediate family (spouse, parents, siblings and children) and household members of each such employee are not eligible. The Promotion is subject to all applicable federal, state and local laws and regulations and is void where prohibited. Entry in Promotion constitutes full and unconditional acceptance of these “Official Rules” and Sponsor’s decisions, which are final and binding in all matters related to the Promotion. Winning a prize is contingent upon fulfilling all requirements set forth herein. Prize. Winner will receive one (1) visit to their school athletic team of choice from the Milk Means More mascot, along with up to 200 servings of low-fat chocolate milk for the team on September 27th, 2017. Promotion Period. The Promotion begins on September 21st at 11:00 a.m. Eastern Time, and ends on September 25th, 2017 at 11:45 PM Eastern Time (the “Promotion Period”). During the promotion period, a minimum of one prize will be awarded. How to Enter. There are two (2) ways to enter the Promotion during the Promotion Period by: “Follow” Milk Means More on Facebook, “Like” the September 21st or September 25th National Chocolate Milk Day Sweepstakes post(s) on MMM Facebook page AND “Comment” with the name of the school you are submitting. OR send an email to info@milkmeansmore.org with the “Subject” Facebook Contest and the name of the school in the body of the email. School must be located in Michigan. Only one (1) entry per participant will be used during the Promotion Period above. Entries become the property of Sponsor. Random Drawing. Sponsor will randomly draw a minimum of one (1) winner at the drawing (each, a “Winner”). A Winner need not be present to win and will be notified by Facebook messenger, phone, email (if available), and/or mail. Sponsor may require a winner to sign an affidavit affirming that Winner has complied with these Official Rules, addressing other matters described herein, and stating other applicable prize restrictions and conditions. The prize restrictions and conditions described in these official rules are not all-inclusive. If required by Sponsor, the affidavit must be completed, signed and returned to Sponsor within five (5) business days after the date it is issued by Sponsor, or the prize will be forfeited and awarded to an alternate winner. If any prize notification or attempted notification is returned undeliverable, the prize will be forfeited and awarded to an alternate winner. If a winner cannot be contacted within five (5) business days of the drawing date, the prize will also be forfeited and an alternate winner will be selected. If the potential winner is found to be ineligible or the potential winner does not comply with these Official Rules, the prize will be forfeited and an alternate winner will be selected. A potential winner who is disqualified for any reason will not be entitled to any form of compensation. The prize is awarded “AS IS” and WITHOUT WARRANTY OF ANY KIND, express or implied (including, without limitation, any implied warranty of merchantability or fitness for a particular purpose), except that the prize will be subject to its manufacturer’s standard warranty (if any). The prize is non-transferrable and not subject to substitution, except by Sponsor, who reserves the right to substitute the prize in whole or in part with another prize of comparable or greater value if the intended prize is not available for any reason as determined by Sponsor in its sole discretion. All potential winners are subject to eligibility verification by Sponsor. Winner List; Rules Request. 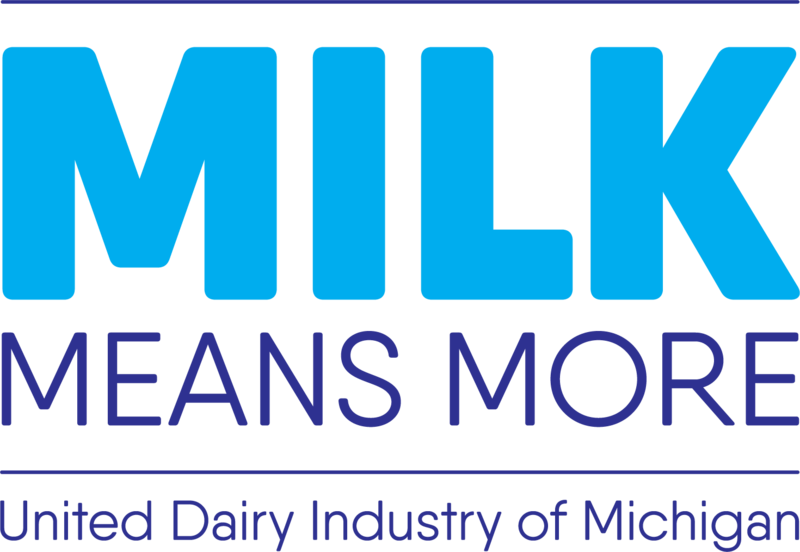 To obtain a copy of the Official Rules or a list of winners, you may send a self-addressed, stamped, business-size envelope to: United Dairy Industry of Michigan, ATTN: Janice Jackson, 2163 Jolly Road, Okemos, MI 48864. Winners information will be available after November 1, 2017. All requests must be received by November 30, 2017.